When charging is not enough and you want your iphone a good wash, the PhoneSoap charger is exactly what is needed. 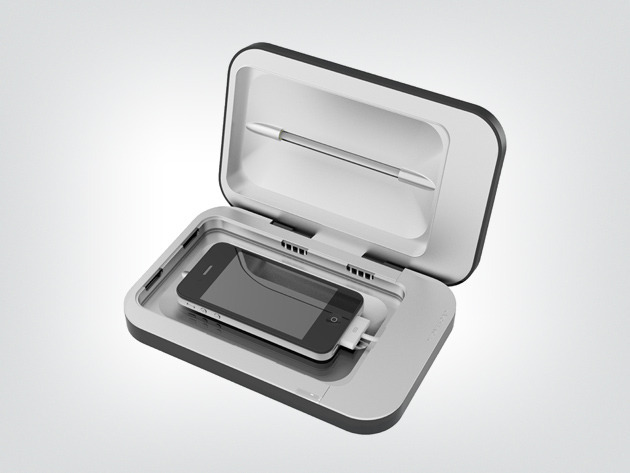 What the name suggests, the PhoneSoap, cleans and sanitizes your phone while it charges. There are two UV-C lamps within the PhoneSoap charger produce a very specific wavelength of light which encompass your phone and pass through the cell walls of bacteria and virus to impair their DNA. Then, the cells die with no longer the fear to cause any infection. Cool right? The PhoneSoap charger is compatible with every phone which uses Micro USB connection to charge. You can charge your iphone as well, simplu by replacing the Micro USB connection with Apple’s Lightning cord, 30-pin cord or any other USB charging cable. Very simple! Is PhoneSoap charger something you would consider for your precious smartphone?